Season os eggplant is still in full swing. I didn`t eat tastier eggplants. Always cook them in season weekly. Stunningly delicious!!! 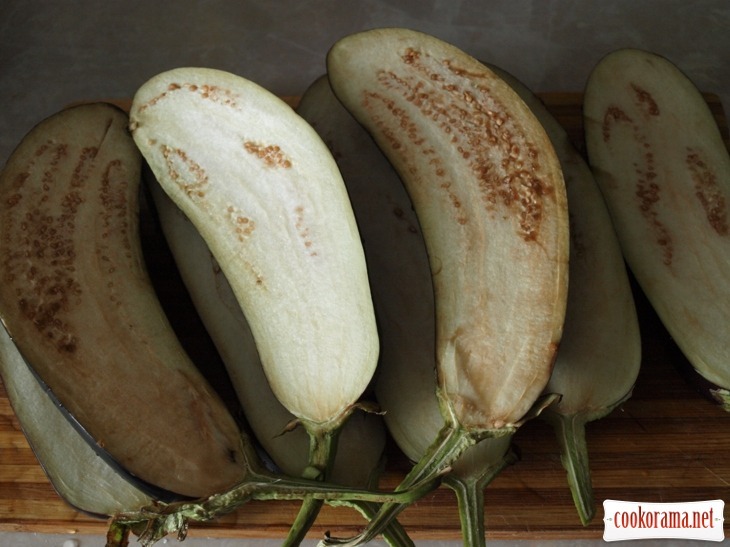 Cut eggplant along in half, saving peduncle. Boil them in boiling salted water for about 15-20 min. Put in colander, let it cool. 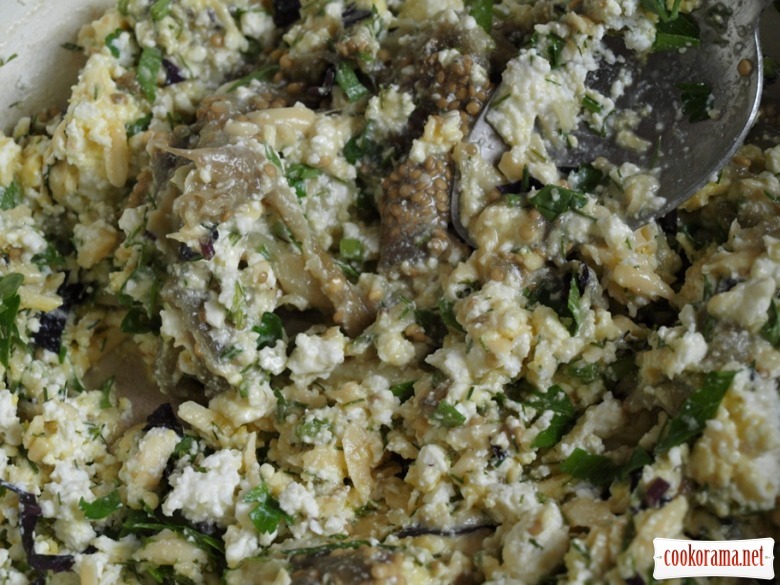 Mix in bowl grated cheese, cottage cheese, egg, finely chopped greens, press garlic, add spices. 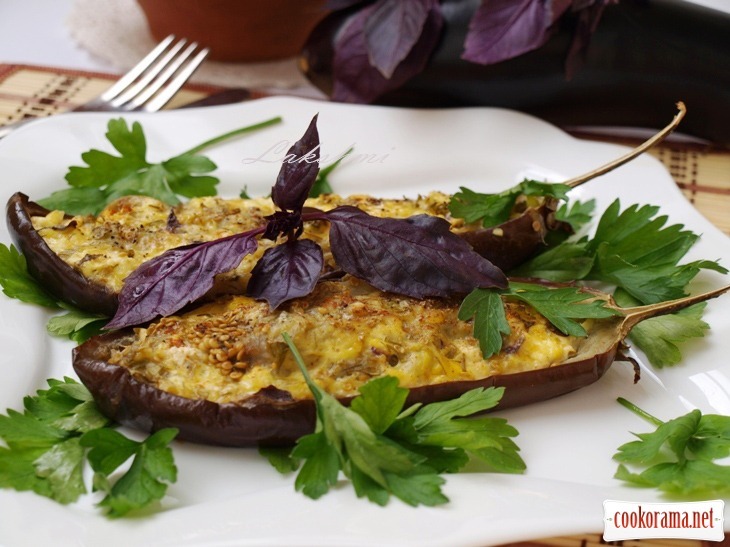 Remove with spoon some pulp from halves of eggplants and add in cheese mass, stir well. 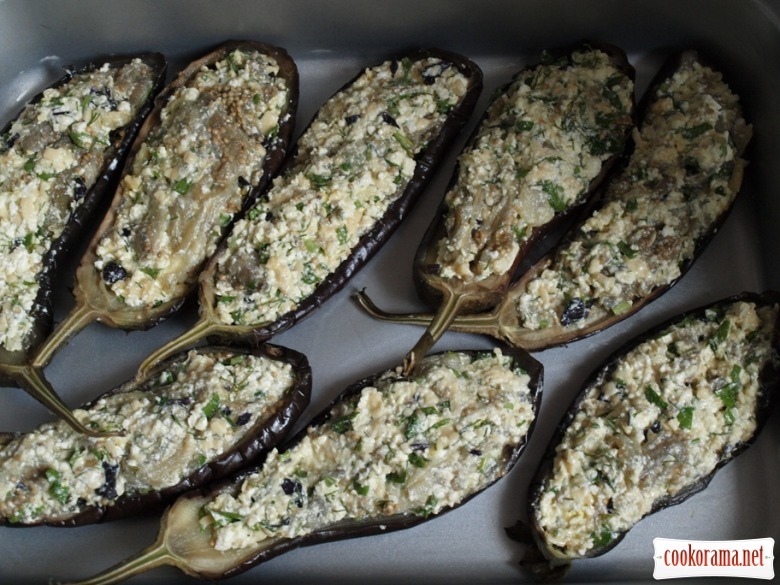 Stuff halves of eggplants with cheese stuffing and put in heated at 180 C oven for 30 min. 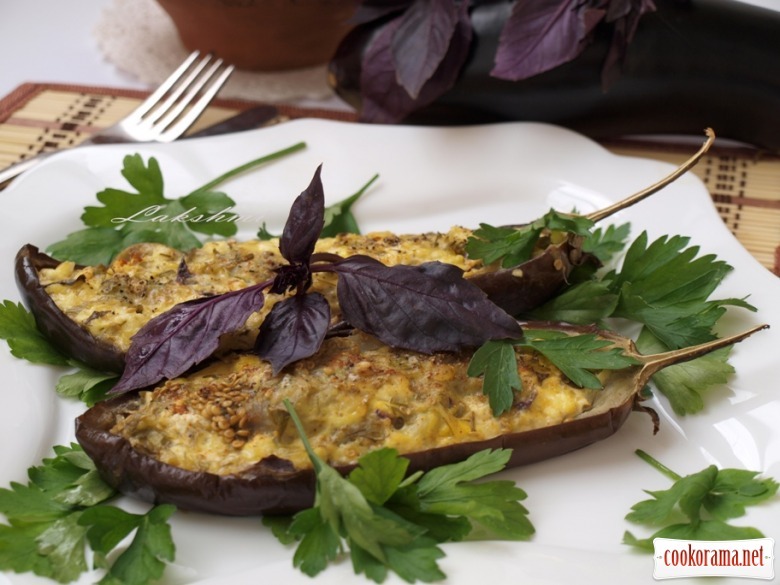 Top of recipe "Baked eggplants "kucherikas""
Recipes, Vegetable second courses, Baked eggplants "kucherikas"